A local recovery group went to Epic Cafe on Fourth Avenue to spread their message of how life goes on after recovery. TUCSON, Ariz. — A local recovery group went to Epic Cafe on Fourth Avenue to spread their message of how life goes on after recovery. Avant Recovery helps provide a community to people struggling with addiction, mental illness, and homelessness. They stand by the message, "at what point do you stop recovering and start living." They said this message embodies the idea that life after addiction is possible, with passion and a good support system. Aaron Avery, the man who created Avant Recovery, wants he and the other peer mentors, who all went dealt with addiction themselves, to be positive figures for those still struggling. "We aren't bad people. People who suffer from addiction and people who suffer from life's traumas, and they find themselves homeless. They need a chance just like everyone else to get back on their feet," Avery said. 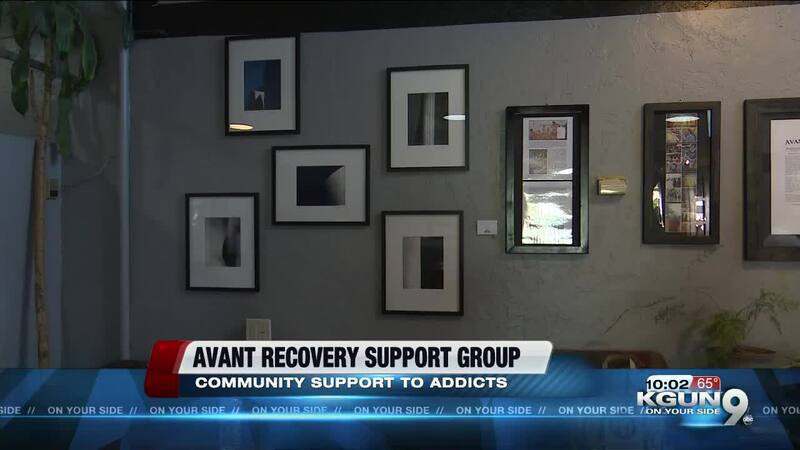 Avery said Avant treats each journey to recovery with an individual approach, and once addicts are ready to recover the group will be there to offer support. Peer mentor with Avant Recovery, Kevin Eddy, was an addict for 20 years. He used to do photography, but lost touch with it because of his addiction. Have you been to the Epic Cafe on @4thAvenue lately and noticed these photos? "It was drinking everyday," Eddy said. "It was Just a complete downward spiral." Then, he sought help and found a community with Avant Recovery. Now, he's sharing his journey from addiction to sobriety through photography. "Recovery is truly possible through creativity, through passion, through your purpose of life," Eddy said.